The 2hr Beyond Basics Kiteboarding Class is perfect for anyone with previous kiteboarding experience, who would like to practice more, or master a certain skill — smoother board riding, foil boarding, riding upwind, jumping, light wind style and self rescue techniques and more. Previous kiteboarding experience necessary. Minimum age is 12 years. Semi-private lessons require both riders to be the same skill level and sign up together. 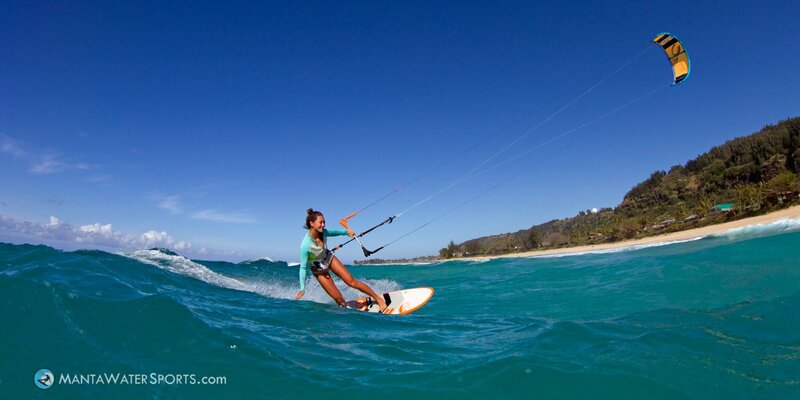 And master your kiteboarding skills! This 2hr class is perfect for persons who want to take their current Water Skills to the next level. Simply put ... Show us what you know, and we'll teach you what you still need to learn. 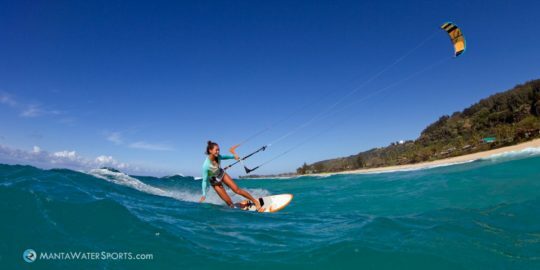 The Beyond Basics Kiteboarding Class utilizes our Performance Based Instruction System, and we provide all the required gear, including optional items, like a wet suit or radio helmet. It's designed for an individual, or couple of the same skill level, wishing improve or master their current water skills level. The lesson is taught at the students pace and skill level. It's also a good choice for the intermediate kiters looking to refresh old skills or improve in specific areas of safety, riding or jumping. This lesson lets you work more specifically on skills you need rather than follow a structured lesson plan. You will have to demonstrate the prerequisite skill level and safety at start of the lesson. Master more skills quickly and safely with the safest and most experienced kiteboard school in all of Southern California -- MANTA Wind & Water Sports. 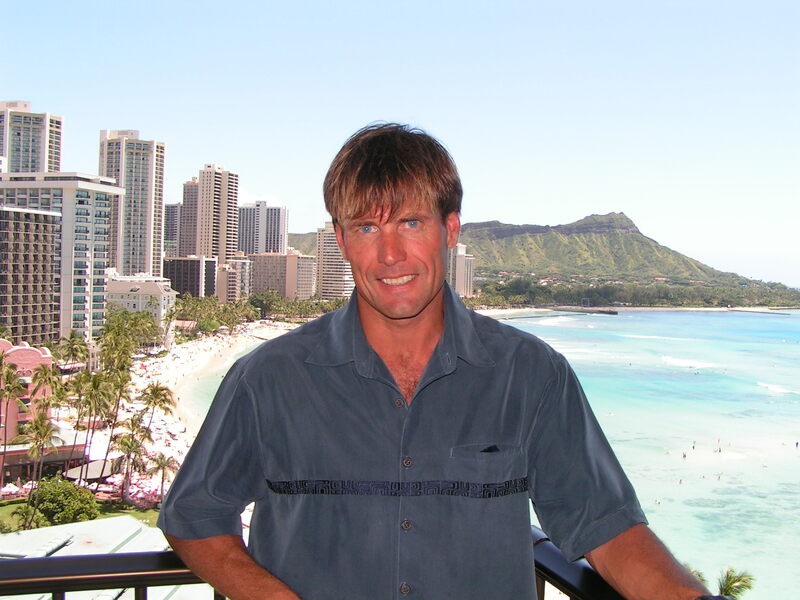 You will be trained by the most experienced kiteboarding instructor in all of California, John Arthur. He is the only IKO and PASA certified instructor in all of San Diego and he knows how to teach you what you need to know and how to become a real kiteboarder faster and safer than anyone. Previous experience is necessary. Minimum age is 12 years. Professional Instruction custom tailored to your needs. Friendly, Fun & Knowledgeable Instructor. Tips & Tricks: Secrets that help you learn faster. This lesson lets you work more specifically on skills you need, rather than follow a structured lesson program. There are many skills you can master with this lesson, for example: Smooth Water Starts, Fluid Transitions, Toe side riding, Upwind Riding, Jumping, Back Rolls, Front Rolls, Tantrums, Rally's, S-Bends, Kite loops, Hydro Foiling, and more. If you are an intermediate, or higher level kiteboarder, you are ready to learn to Foil Board. 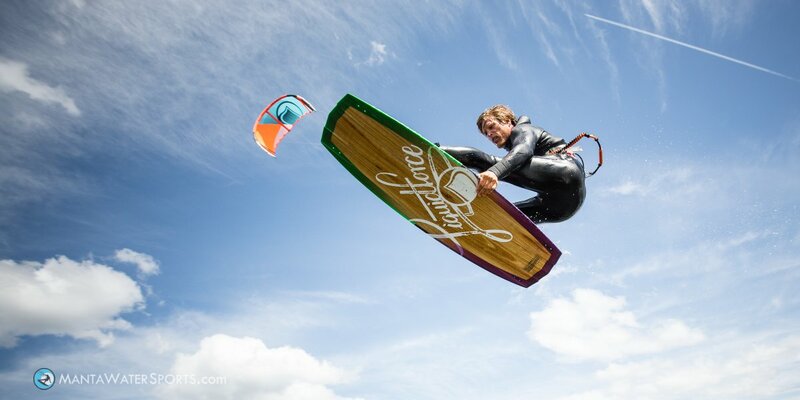 The newest Foil boards can ride in as little as 7mph and easily stay up wind. Add foil boarding lessons to your skill set. Manta Wind & Water Sports, now offers beginner foil board lessons and rentals, to intermediate level kiteboarders and higher. Take our 2hr private foil boarding lesson first, then rent or purchase your foil board from us and you’ll be riding in a few sessions. Note: You must be proficient at kite control, board transitions, basic jumps, and self rescue before taking this lesson. Your body dragging skills must also be top notch, to handle this lesson. Be prepared to spend several minutes just getting used to how the board is handled on land and in the water before you attempt your first ride. 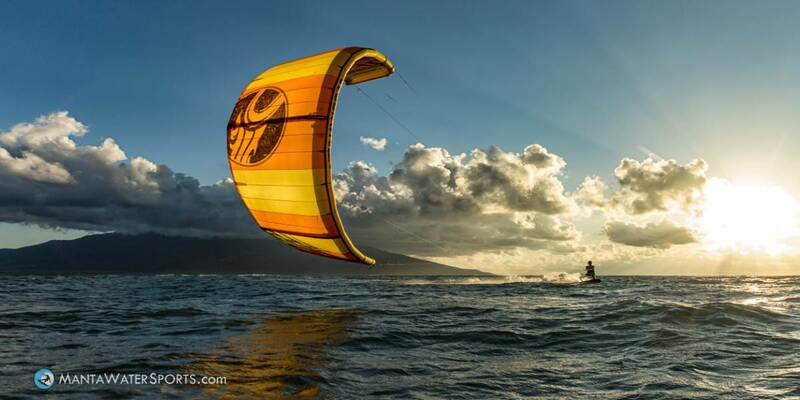 Foil kiteboarding is not as intuitive as it looks … but its also not hard to learn. We use the newest and easiest to ride hydrofoil system on the market to get you up and riding faster and with less frustration that possible with other systems. 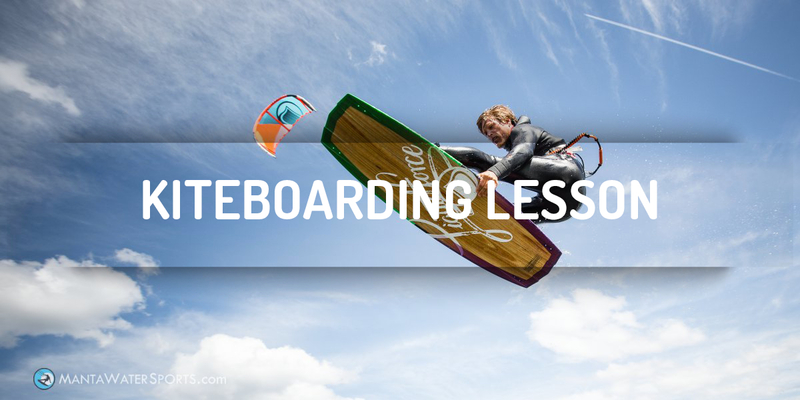 Manta’s Foil board lesson does offer you the basics in handling , safety and successful riding. Then you can make an informed decision if this is for you before you drop the funds purchase your own foil board set. We can provide all the gear during the lesson, however, it is suggested that you use as much of your own equipment, since those items are a factor in your overall comfort and performance. Warning: The hydrofoil system does contain sharp and ridged edges. This poses a higher risk of injury to you and others. By taking this lesson , you agree to accept these added risks and liabilities. And Yes … We can provide the Foil board during the lesson ! In this session you will learn the 4 secrets to riding upwind and jumping. You will practice riding upwind and jumping, with the instructor coaching you as you ride. You will learn proper body position and kite maneuvering to enhance you upwind and jumping ability for various wind conditions. You will also learn how to perform smooth switch stance or toe side turns without stopping. You will master riding the board upwind like the pros, even in lighter winds. 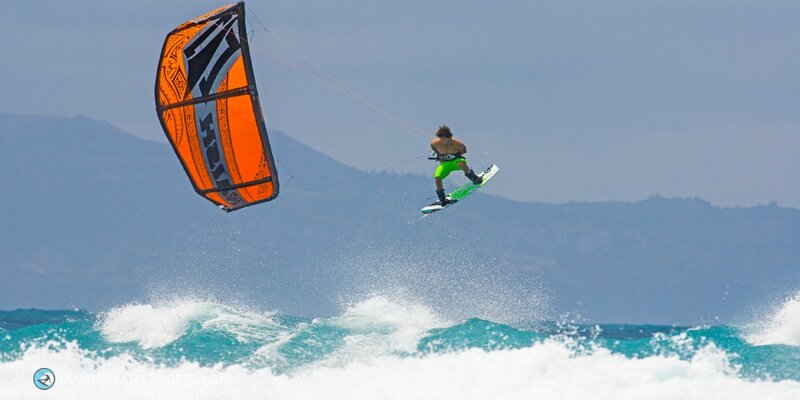 If you are riding upwind and are ready to turn Kiteboarding into an addiction, you are ready to learn the secrets of jumping. Perfect for continuing students or the novice kiteboarder looking to enhance there riding ability and/or improve their current board riding or kite maneuvering skills. These skills will put you Way Ahead of other students with the same amount of training from other schools!